Founded in 1974, B&G Distributing is the largest locally owned wholesale food service equipment distributor and dealer support company in the Mid-South. 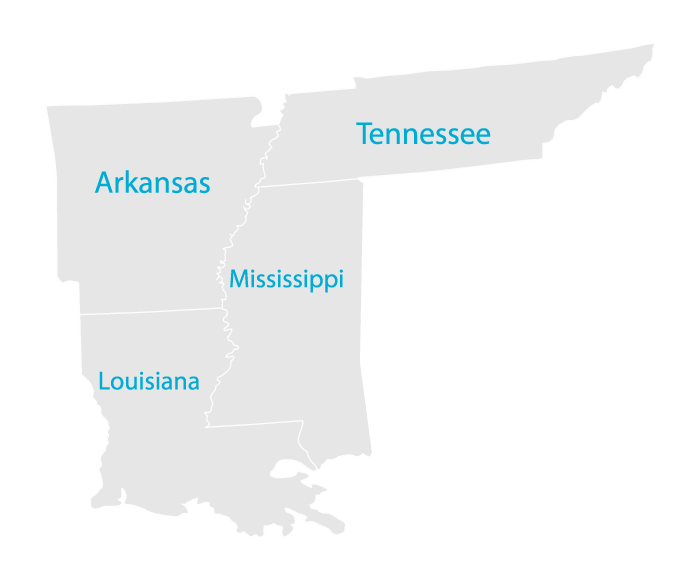 With 8 warehouses across the region, 3 sales reps and 3 corporate chefs, we supply dealers and national accounts in Tennessee, Arkansas, Louisiana, and Mississippi with equipment from our inventory. Contact Us today and let us prove to you why we are the best in the business! B & G Distributing, Inc.
1230 William J Clark Dr.
Click on the pin on the map closest to your region to view your Sales Rep.